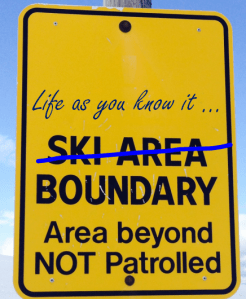 Out of the structure of organisational life and into the “bubble” of living and working in a ski resort … on the way to having a different and more flexible lifestyle. That was my first step in this endeavour. When people talk lifestyles, the accompanying pictures often have deck chairs – but also palm trees, poolside waiters and drinks with cocktail umbrellas propped in the top. This photo, taken outside a restaurant in Telluride CO, was not posed. 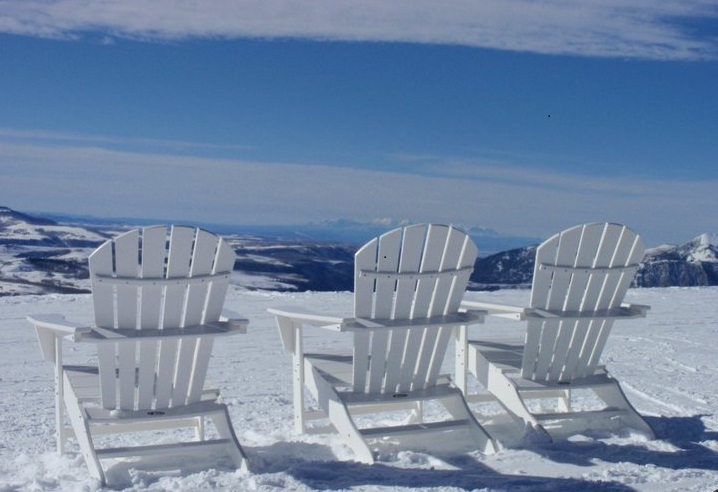 There were others occupied by skiers taking in some sunshine, but the waiters and exotic drinks were absent. So, you will notice, were the crowds. It was a gorgeous day and I think the closest run was called “see forever” which aptly fits this view.